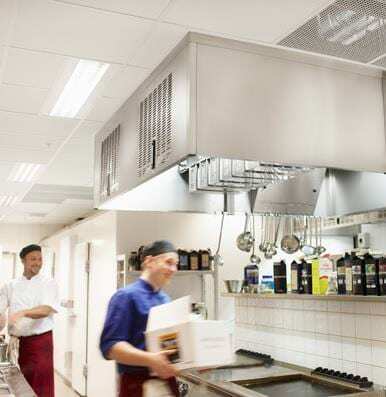 Acticon is a leading supplier of ventilation products for sustainable, healthy and safe indoor climate solutions for residences, workplaces and public areas. The Acticon air and acoustic technology laboratory is used when developing and evaluating standard products as well as customer-specific solutions. To increase the efficiency and the capabilities of the laboratory, Acticon needed to add a measurement and data acquisition system that could log multiple channels of air pressure, air speed and air flow as well as temperature and sound. All sampled data must be synchronized and displayed in real time. It shall also be possible to store the measured data on a hard drive for post analysis in a variety of tools. 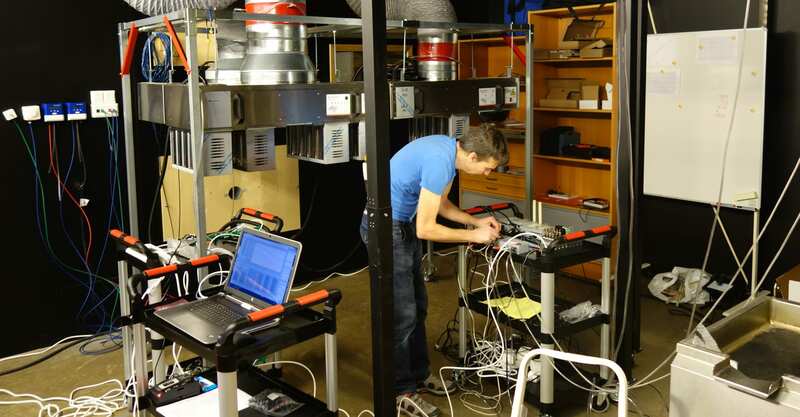 Acticon used products from National Instruments and services from WireFlow in order to quickly set up a data acquisition system for evaluation of ventilation products in their air and acoustic technology laboratory. A standard Ethernet cable is used to connect the chassis to the measurement PC. Furthermore, the PC also receives electrical measurements from a custom made data acquisition unit and sound measurements from an acoustic real-time analyzer device connected to a USB port. 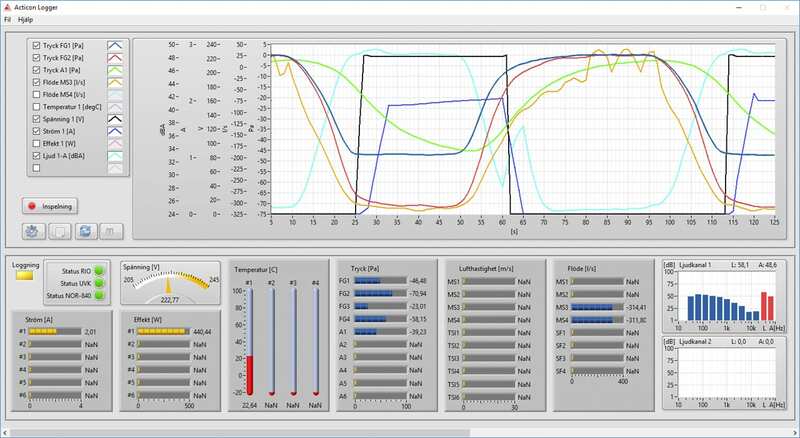 The logger application written in LabVIEW executes on the measurement PC. It collects and synchronizes the data and displays it in real time on gauges and on trend graphs. The application functionality was specified by Acticon and implemented by WireFlow. 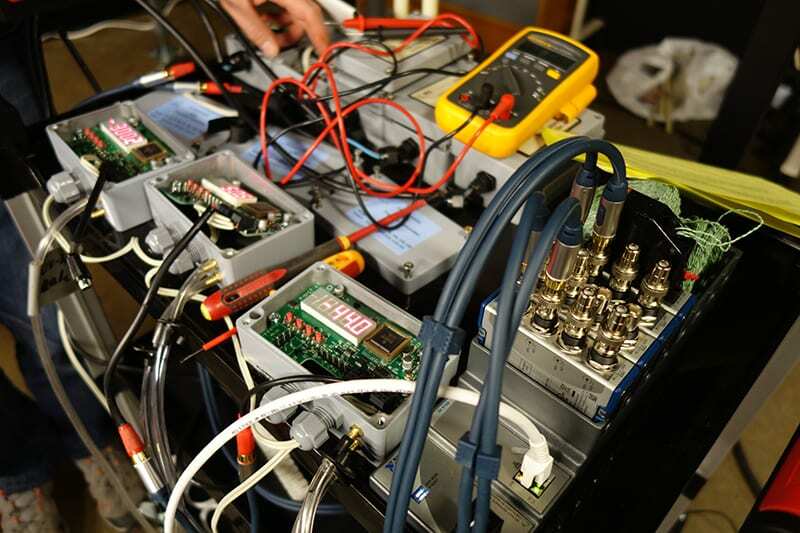 When setting up a new test in the laboratory, the logger application is configured for the current setup and immediately ready to display and record all measurement channels. Besides presenting the data in real time, the application can also stream it to the PC’s hard drive for post processing.